Jim Cramer Goes Batty: “Bitcoin May Hit $1,000,000”; Act Now Before It’s Too Late! It’s hard to know when bubbles will end but when analysis goes ape-sh*t batty, it’s easy to know the bubble exists. Jim Cramer’s analysis of Bitcoin provides a perfect example. CNBC reports Cramer says it’s possible bitcoin could reach $1 million one day. The Coin Telegraph reports Bitcoin Price Can Reach $1 Mln: CNBC’s Jim Cramer. Such claim is evidently non-factual because the European Bitcoin exchange market only accounts for nine percent of the global Bitcoin exchange market and it is behind the US, Japan, China and South Korea in trading volumes. Regardless, Cramer believes that Bitcoin price will reach $1 mln one day due to its rapidly increasing trading volumes and demand from investors. Cyberattackers have “customer service desks”? really? And they can be trusted? And banks don’t have backups? So banks need to “try” to stockpile Bitcoins as a precaution? And that will push the price to $1,000,000? At least Henry Blodget discussed the downside without absurd hype. 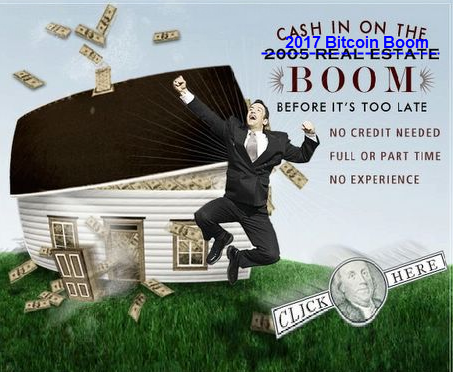 If you think Bitcoin has any chance of hitting $1,000,000 then buy one for $2,725 or so and relax. Bitcoin is a life-long insurance policy. Unlike term insurance, Bitcoin never expires. And unlike real estate, it’s easily divisible. So buy one, put it in your will, and pass it to your kids. But make them promise to hold on to it. After all, a single Bitcoin may very well be worth $1 billion someday! Why not? Why not $10 billion? Even at $1 million, the world would be flooded with tens-of-thousands or hundreds-of-thousands of dollar “billionaires”. Back in the real world, please think of what it would take for Bitcoin to hit $1,000,000. The answer is hyperinflation. The US dollar would essentially go to zero vs everything. So when Cramer or anyone else discusses the possibility of $1,000,000 Bitcoins, they are really discussing the possibility of hyperinflation in US dollars. This setup reminds me of a post I did in 2005: It’s Too Late. In fact I know it’s too late. When you see stuff like this, not only is it too late, it’s way too late. As a practical matter, and without all the hype, I will stick with gold even as I wish I had taken out some Bitcoin insurance at $1, $10, $100, or even $1,000. Supposedly, it’s still not too late. 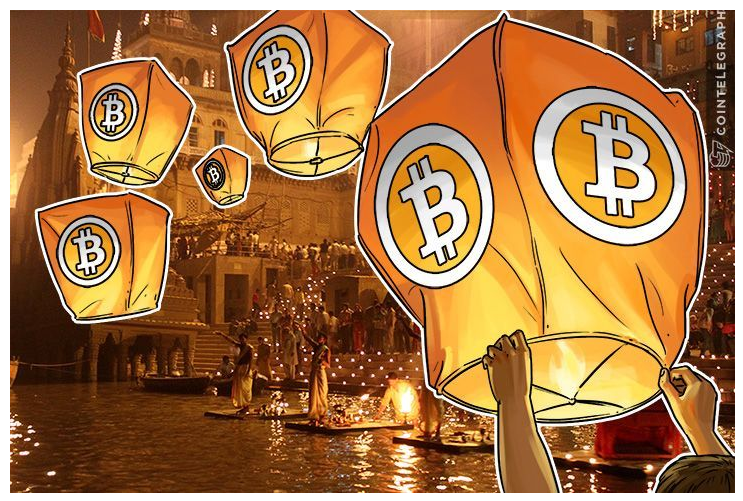 This article was posted in alternative currencies, Bitcoin, China, cryptocurrencies, Digital Currency, Digital currency exchange, finance, Financial cryptography, Financial technology, Henry Blodget, Hyperinflation, Japan, Jim Cramer, money, Payment systems, Ransomware, Real estate. Bookmark the permalink. Follow comments with the RSS feed for this post. Both comments and trackbacks are closed.